PRE-SEASON TICKETS: The Go Goodwin’s Manchester Storm are pleased to announce that tickets for our 2017 pre-season games against the Sheffield Steelers & Coventry Blaze are now available to purchase. Tickets can be ordered online by clicking here, by calling the box office on 0161 926 8782, or in person at the box office. He comes from a place with one of the most idyllic names you have ever heard – Paradise Valley, but is it as good as it sounds? He’s played hockey in front of 113,000 people (not a typo!) so not too dissimilar to the Storm Shelter. He’s put on the skates in pretty much every corner of the globe and he’s only 25 years old. He is Luke Moffat, the Manchester Storm’s new number 9, and he drinks tea . 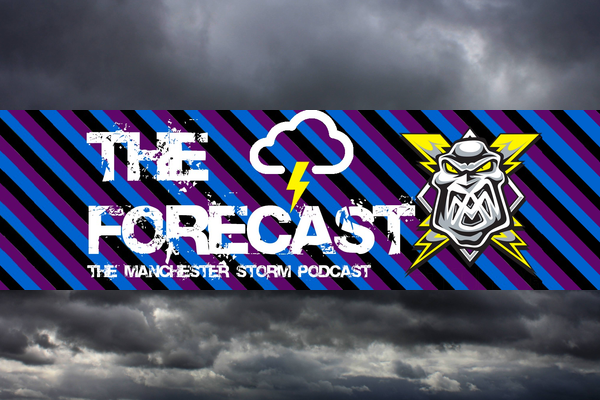 . . . .
Luke speaks with Lee Middleton for The Forecast as we get an exclusive pre-season interview to find out what it’s like winning a gold medal for your country, how different hockey is in North America, Scandanavia and Australia, and which returning Manchester Storm player was a former team mate playing for the East Coast Selects. Say hello to Storm Sports! Welcome to Manchester, Linden Springer!